Welcome to Your Seat of the Soul Online Adventure! We want to share what we have been working on for months now…our new Seat of the Soul Institute Online Engagement System. We believe these online tools will enrich and transform all of our lives as we explore and practice Spiritual Partnership together. We invite you to become one of the first members of Seat of the Soul Online. This free site membership will enable you to comment and interact on our new SoulBlog. As our online engagement system expands, look forward to more free tools and Seat of the Soul TV special gifts with this membership. NOTE: You don’t need a password to visit the website. the same email you originally used to sign up for the Sneak Peek offer. You are currently logged in as [i4w_user_email]. 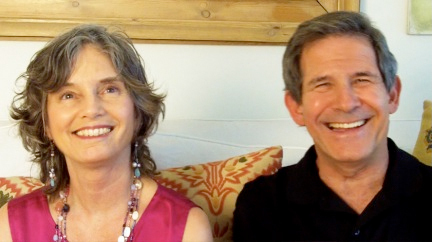 Ã¢â€“Âº Check out the Welcome video from Gary and Linda on our Home page. Ã¢â€“Âº Comment in our SoulBlog and connect with others. Ã¢â€“Âº Explore interviews with Gary on his Spiritual Partnership book tour. Ã¢â€“Âº Discover Seat of the Soul Free Tools, events, books, and CDs. Ã¢â€“Âº View video clips in Seat of the Soul TV to find out what others are doing in their lives to create authentic power and spiritual partnership. Awakening to Spiritual Partnership, our first eCourse! When the eCourse is complete, we will email you a reminder with your special discount. And we look forward to sharing the first chapter of this eCourse with you for free! We invite you to provide feedback in our online survey. We would love to hear about your experiences so that we can continue to co-create the best online tools to support you. The links at the top of the page will take you anywhere you want to go!